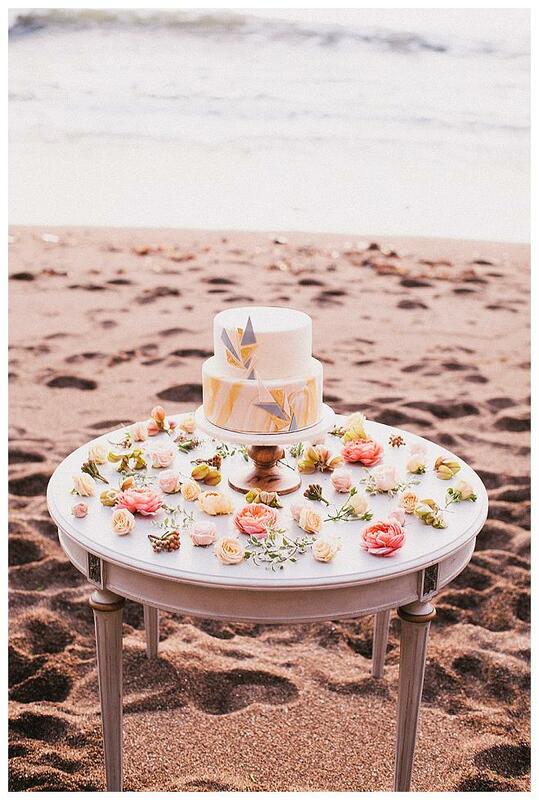 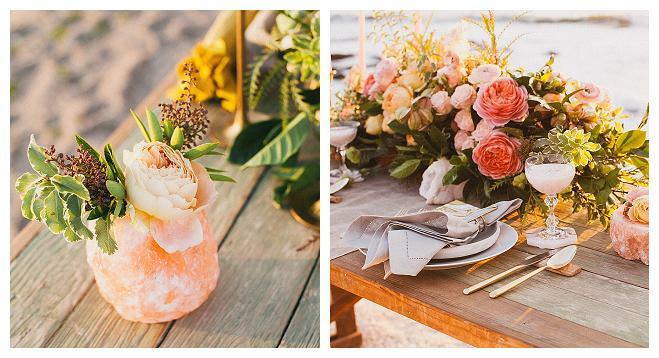 The rosy sand cliffs of Shell Beach in San Luis Obispo set the tone with their unique marbling, inspiring details such as the white and gold marbled name tags and quartz crystal slabs. 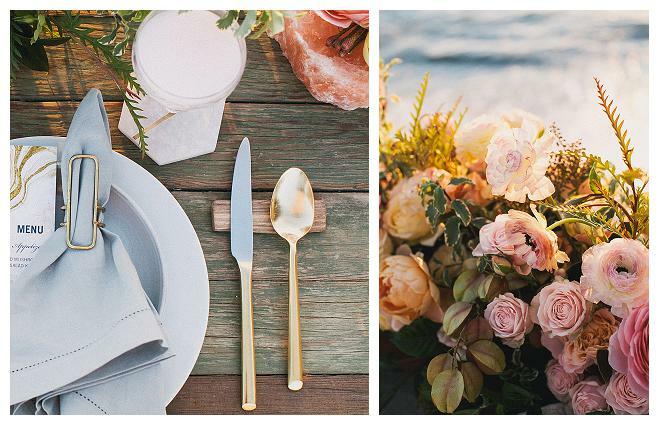 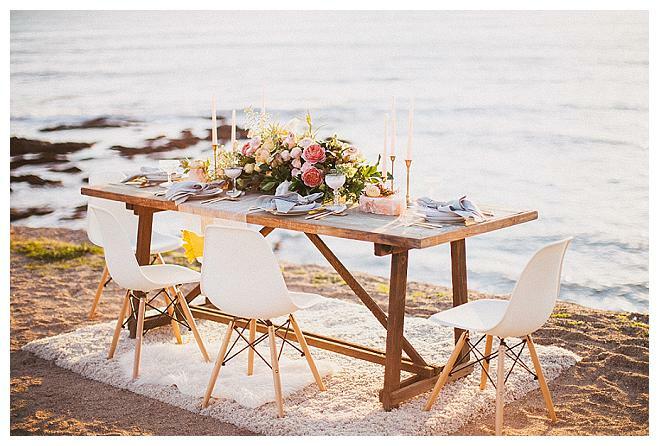 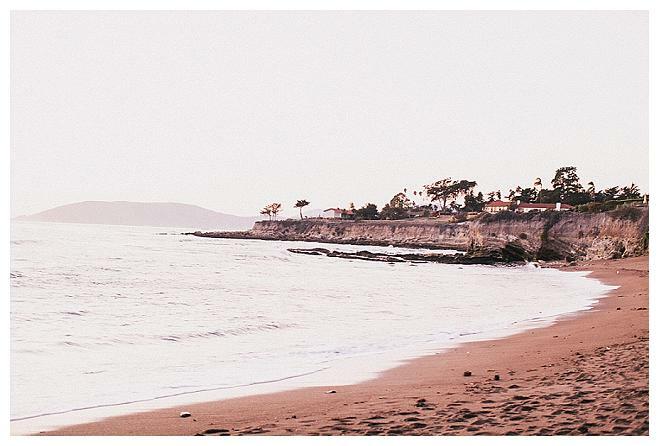 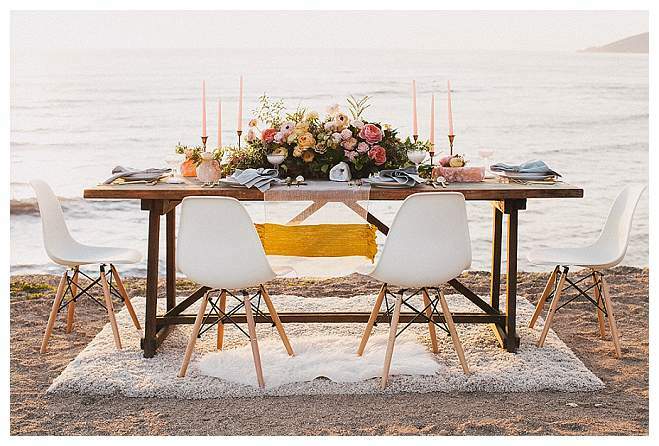 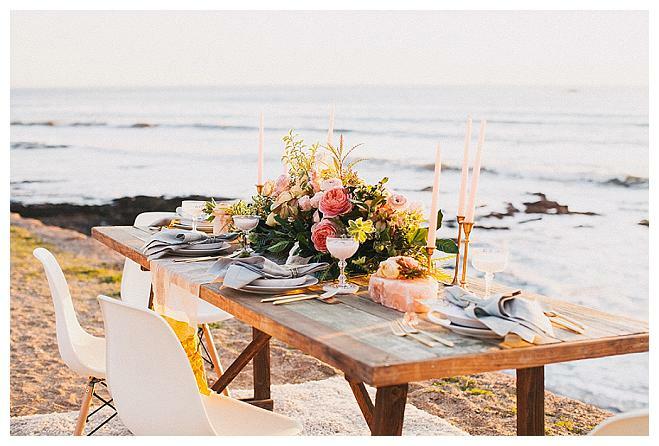 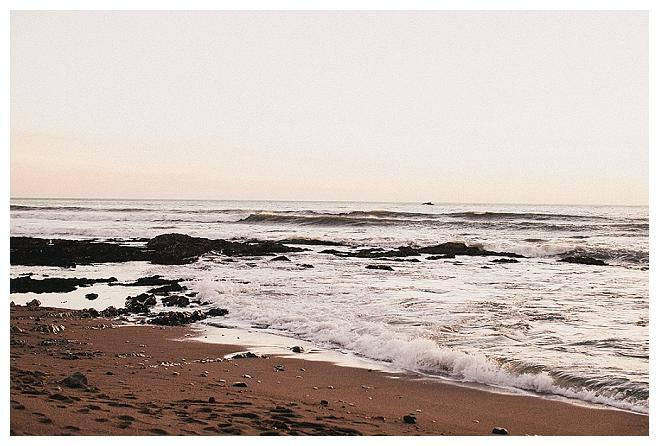 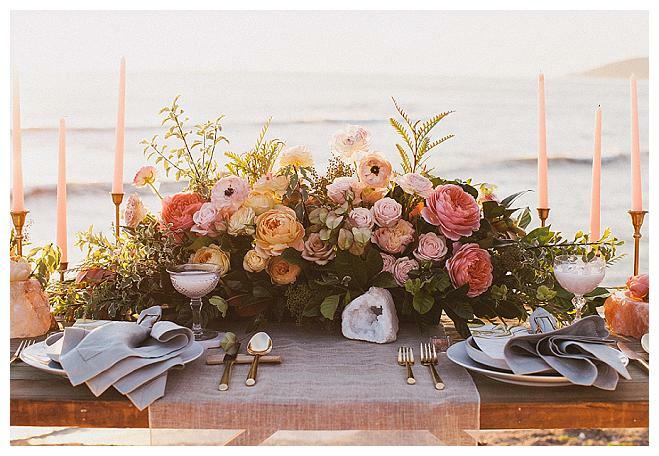 The elements seamlessly create a marriage of quintessential California casual with bohemian pops of glitz. 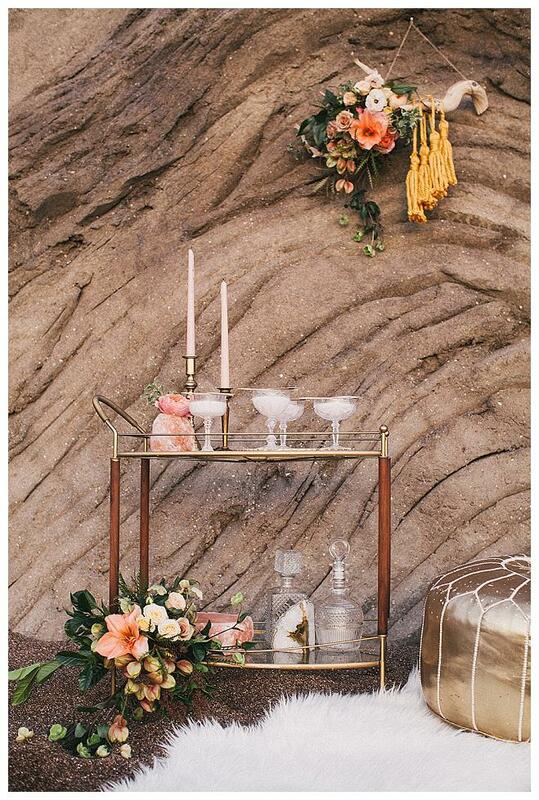 Playing on the cliff wall’s grainy texture, flecked with white shells and cracked from age, a new texture is introduced with each element of the decor. 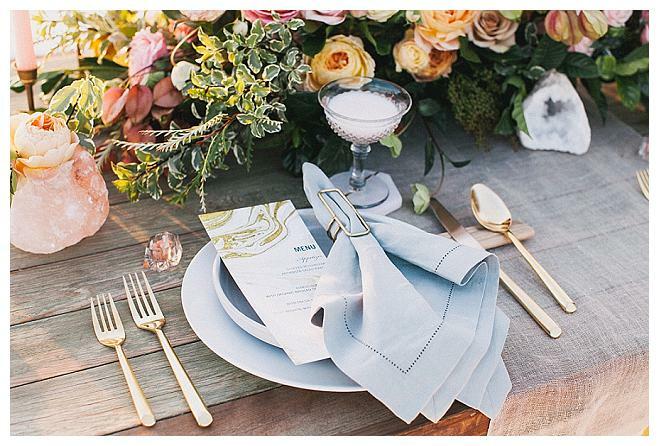 Mismatched cut crystal Champagne glasses sit atop icy geometric granite coasters, while burnished gold napkin holders and minimal gold silverware complement the menu’s gold marble. 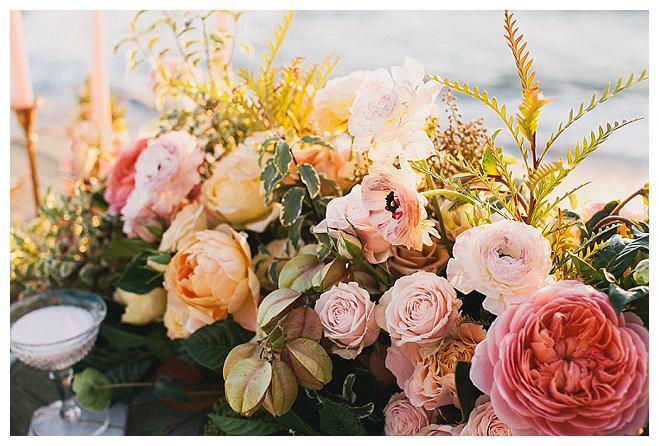 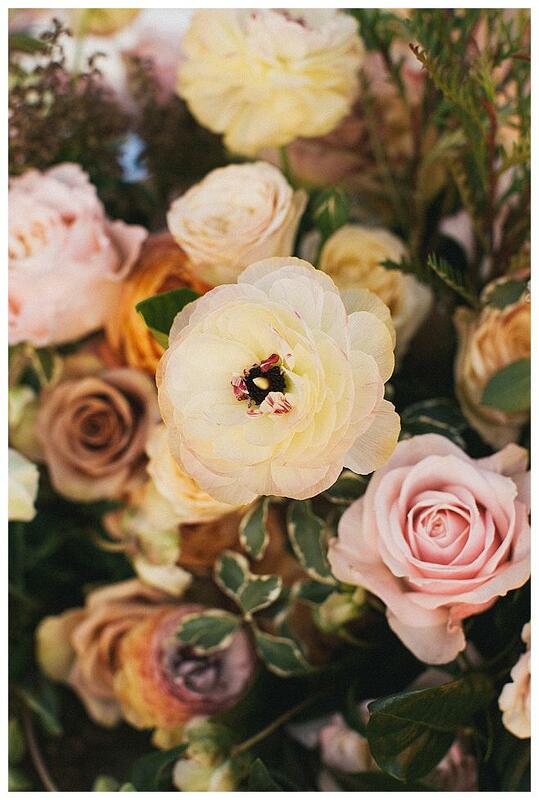 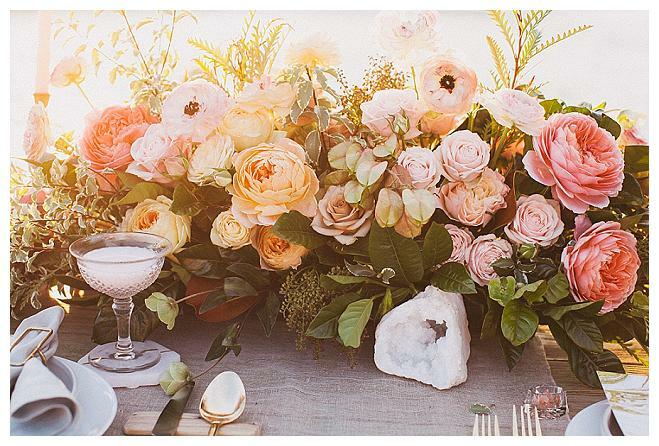 A sheer linen table runner with a glimmer of goldenrod is held down by centerpieces of pink and peach roses, peonies and foliage by Precious & Blooming, and accented by sparkling white geodes. 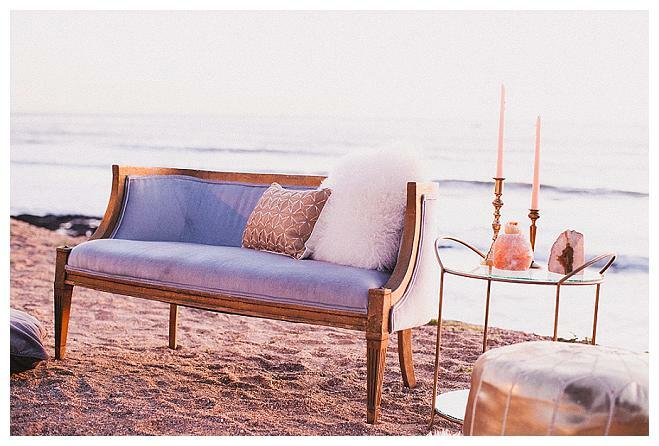 A fluffy beige shag rug layered with sheepskin provides a cozy respite from the sand. 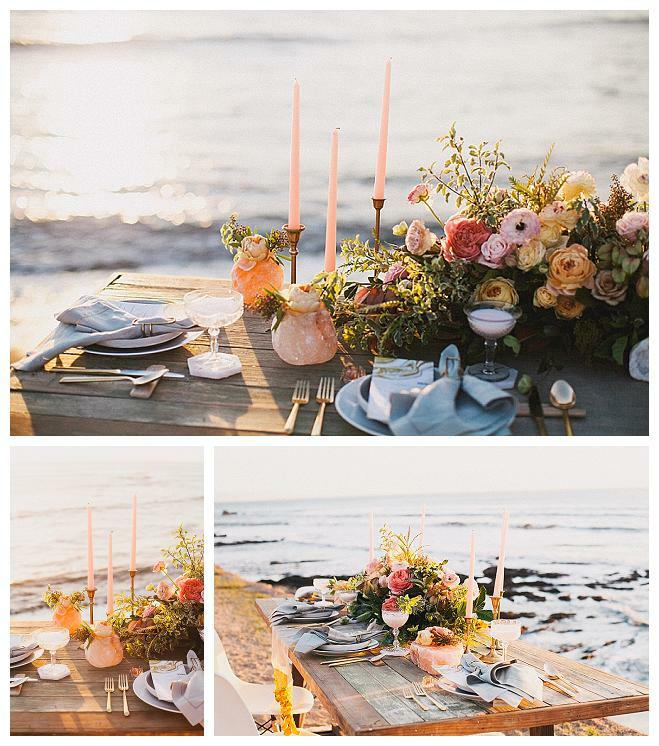 Tiny crystal tea light holders and vintage bronze candelabras hold pink candles that echo the touches of elegantly placed crystal throughout the tableau. 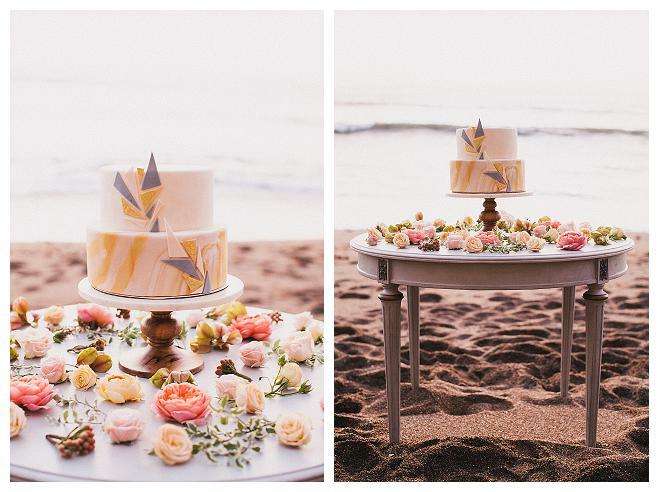 Paper Cake Events’ two-tier cake ties it all together by incorporating both the marble and geometric motifs with a champagne-colored swirl decorated with ivory and slate gray triangular pieces.